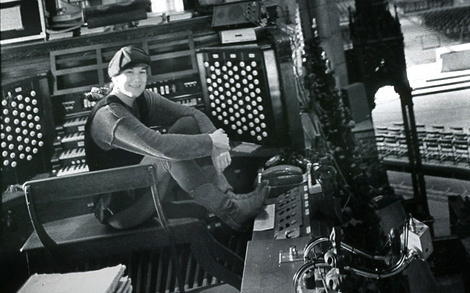 Recorded over a period of 6 years Dorothy's recordings at The Cathedral of St. John the Divine, NYC, are a musical snapshot of the Cathedral’s rich and diverse musical life. Featuring Artists-in-Residence and extraordinary world music artists, several of these CD’s were created to raise funds to restore the Cathedral’s beloved 1910 4-manual Aeolian-Skinner Organ, Opus 150-A. As a result of the Cathedral fire on Dec. 18, 2001, the Great Organ was masterfully restored by Martin Quimby in St. Louis, MO. All five CD’s and mp3 downloads of favourite tracks are available for purchase at Zarex. 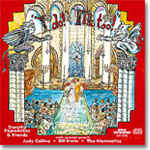 Dorothy Over the Rainbow – Listed by the record label as “the most sought after of Pro Organo CD’s” this recording has had 4 pressings. Guest artists include: Paul Winter, Dr. Roger Payne’s recordings of Humpback Whales, Violinist Mary Rowell of Ethel, Yousif Sheronick and the Cathedral Choristers & Choirs. I Do! Me, Too! – The popular CD of interfaith wedding music from around the world at the Cathedral of St. John the Divine, NYC. Guest artists include: Judy Collins, Bill Irwin, The Klezmatics, Renay Peters, The Cathedral Singers, The Forces of Nature Dance Theatre Company, wedding music for organ with bagpipes, trumpet, brass ensemble and shakuhachi. Shades of Green – “Considered by many as Dorothy's finest hour on CD … and offers some of her most inspired improvisations,” A celebration of sacred trees from around the world. Guest artists include: Shamir Chatterjee, Gentlemen of the Cathedral Choir, Steve Gorn, Elizabeth Henrickson-Farnum, John LaBarbera, Pandit Ramesh Misra, Raimundo Penaforte, Theresa Thomason and Dennis Yerry. Christmas Traveler – Holiday music from around the world celebrating the Millennium, including Papadakos’ acclaimed organ transcription of The Nutcracker Suite and her jazz concerto Christmas Traveler for Orchestra, choir & soloists. Guest artists include: Music from China, Chris Norman, Jimmy Owens, Kim Robertson, Lorin Sklamberg, William Paco Strickland and Madafo Lloyd Wilson. Café St. John – “The last Dorothy Papadakos organ improvisation CD to appear prior to the great fire of December, 2001 at the Cathedral Church of St. John the Divine…” A variety of sacred & secular themes, all live solo organ improvisations from Cathedral events and services. From Take Me Out to the Ballgame when the Yankees won the World Series to excerpts from her acclaimed performances of the 1929 silent film The Phantom of the Opera at Halloween. Website Design and Website Hosting provided by Sage Island • Copyright© 2008 Dorothy Papadakos. All rights reserved.